Prince Albert of Monaco: A THIRD Love Child? Really? Center, Prince Albert of Monaco and his fiancé Charlene Wittstock pose with the band The Eagles, performing in Monaco to celebrate the wedding of Albert and Charlene. June 30, 2011. Prince Albert of Monaco and Charlene Wittstock of South Africa are scheduled to wed today in Monte Carlo despite revelations in the French Press earlier in the week that the never-before-married Prince Albert, 53, may have fathered a third love child. Upon learning of the Le Monde article, Miss Wittstock, 20 years Albert’s junior, reportedly tried to flee the tiny Riviera principality. Despite this hiccup, the wedding is going ahead as planned. The engaged couple put on a happy show of unity last night as they attended a concert by The Eagles. The free show was held at Monaco’s stadium and attracted thousands of fans from the principality and neighboring areas. The wedding nuptials include a civil ceremony today and a Catholic Church ceremony tomorrow. In this June 2011 photo for Vogue magazine, Charlene Wittstock shows off her impressive physique. She was a South African Olympic swimmer who will become Princess Charlene of Monaco on Friday, July 1, 2011, when she weds Prince Albert of Monaco. Prince Albert is the son of the late Grace Kelly, American film actress, and Prince Rainier III of Monaco. Charlene Wittstock stands on a precipice in Monaco. To see a gallery of Charlene Wittstock photos at the Daily Beast, click here. The nuptials at Monte Carlo may rival the British royal wedding in lavishness and excess. While newlyweds William and Kate, the Duke and Duchess of Cambridge, are unable to attend the festivities because they are currently in Canada on a North American tour, the guest list is still expected to be impressive. Shrouded in secrecy, it is rumored to include crowned heads of Europe, politicians, and glitterati such as international supermodel Naomi Campbell, German haute couture designer Karl Lagerfeld, French President Nicolas Sarkozy and his wife, First Lady Carla Bruni. Musician and former model Carla Bruni is expecting her second child, her first with Sarkozy. 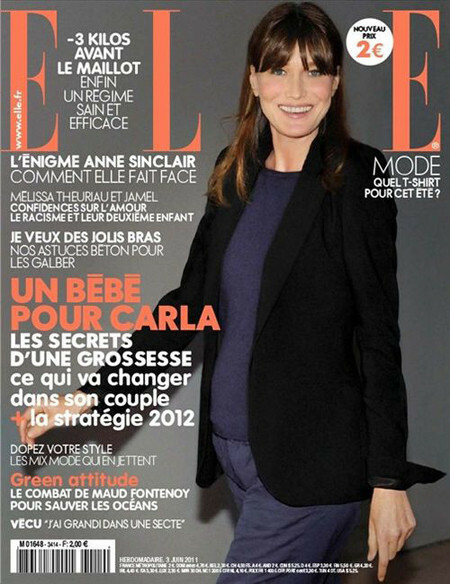 The June 2011 issue of French magazine Elle features First Lady of France Carla Bruni Sarkozy with her growing pregnancy bump. Carla Bruni is a former model, and has graced the cover of Elle many times. Before she was the First Lady of France: Carla Bruni models a designer bikini and pearl-rimmed sunglasses. READERS: For more on Lisa’s History Room about Carla Bruni, click here. In the photo above, Prince Albert’s mother, Princess Grace of Monaco, is shown climbing the stairs of the Princely Palace in Monaco, ca. 1960. Princess Grace is the Hollywood actress Grace Kelly who gave up her film career to marry Rainier III, Prince of Monaco, in 1956. Together they raised three children: Caroline, Princess of Hanover, Albert II, Prince of Monaco, and Princess Stéphanie of Monaco. 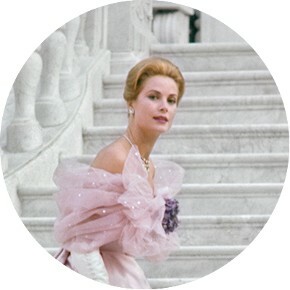 Readers: For more on Lisa’s History Room about Princess Grace, click here. I am so late in commenting, hopefully he didn’t have yet another child that he wasn’t caring for. I was always told that Albert was painfully shy and had this huge heart – he looks the most like the Kelly side of his family and didn’t get into (public!) trouble growing up as it seemed Grace’s girls did. But now, I just have no idea what the deal is with Albert. I know Grace would have been furious with him for leaving his CHILDREN and their mothers… just so disgusting. I know he finally had his now-grown daughter to the palace for some event, which had to be awkward for Charlene as well. You think you’re going to make a family with a man, turns out at least 2 other women had kids with him before you. It’s just so sad! Yuck. Hopefully he is running Monaco better than his personal life. although I did hear that he had (I can’t even stand to type this name but here goes, Kim Kardashian) and her 2nd husband to the palace for dinner! Double yuck! Hopefully he will be a much better father to the baby expected at the end of this year with his wife, and I hope she is doing OK in Monaco, finding her niche and having some happiness. I wish they all still had Grace to help, she was a wonderful lady. Yes, Grace would be even sadder than I think she was when she died.